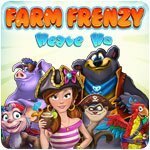 Farm Frenzy: Heave Ho Game - Download and Play Free Version! Scarlett is back in an all-new Farm Frenzy adventure that puts the fun back in farming! Scarlett is back in an all-new Farm Frenzy adventure that puts the fun back in farming! 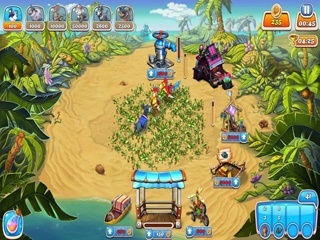 Guide the red-haired beauty as she sets aside her vacation plans to help the animals of an abandoned island learn to provide for themselves. With a few frenzied clicks of your mouse, grow crops, feed animals, and gather produce as you race against the clock to complete your goals. In time, you'll work your way up from caring for a few chickens to manufacturing goods and engaging in commerce with neighboring islands. Manage your time and resources well, and you'll earn a multitude of gold medals and unlock awesome achievements. As the story of the wild and wacky animals of the island and the troublemakers among their ranks unfolds, you'll be treated to colorful island visuals, vibrant animation, and the authentic sounds of a farming paradise! 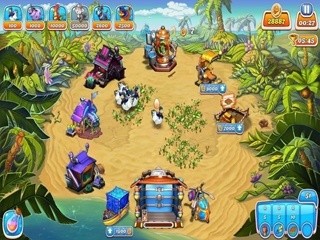 Don't miss the fun and the challenge of this exciting, no-holds barred chapter in the smash hit Farm Frenzy saga!